The Clinton campaign has slammed Donald Trump as “a fraud who believes the rules don’t apply to him” over reports that the GOP presidential candidate used money from his charitable foundation to settle two lawsuits filed against his for-profit businesses. The Washington Post reported today that Trump made two payments totaling $258,000 to settle suits — one involving the Mar-a-Lago Club, which he owns, in Florida and another involving one of his golf clubs in New York. Clinton’s deputy communications director, Christina Reynolds, put out a statement after The Washington Post story was published, calling Trump a fraud. “Clearly the Trump Foundation is as much a charitable organization as Trump University is an institute of higher education,” she said. “Trump’s version of charity is taking money from others to settle his own legal issues ... which experts say is a clear violation of laws governing charitable organizations,” Reynolds said. An American flag flies over Donald Trump's Mar-A-Lago club in Palm Beach, Florida. ABC News has reached out to the Trump campaign for comment. Lloyd Mayer, a professor at the University of Notre Dame Law School, told ABC News that if the allegations made by the Post are true, the payments violate federal law. 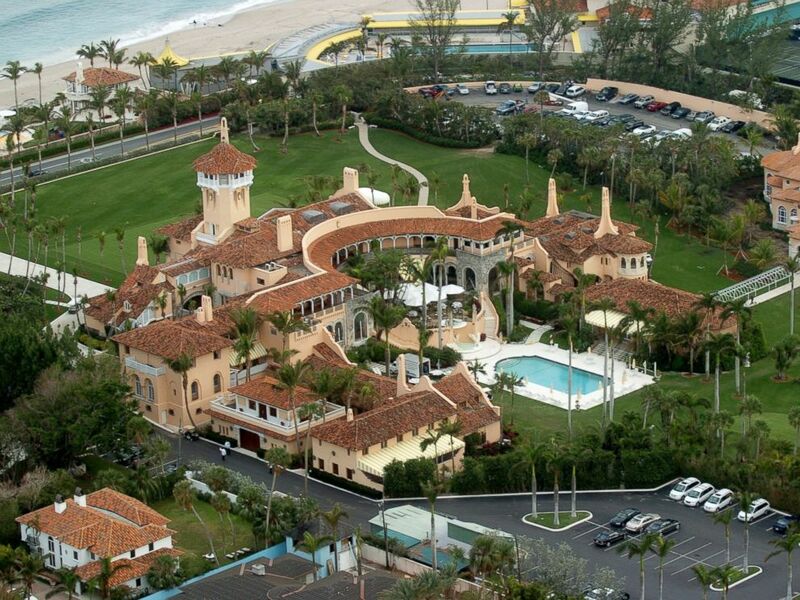 Aerial view of Mar-a-Lago is seen here in Palm Beach, Florida. “Federal tax law bars a private foundation like the Trump Foundation from using its assets to benefit its insiders or the businesses they own. That’s exactly what’s been alleged here. If true, the foundation and its managers, including Mr. Trump, violated tax laws,” Mayer told ABC News. 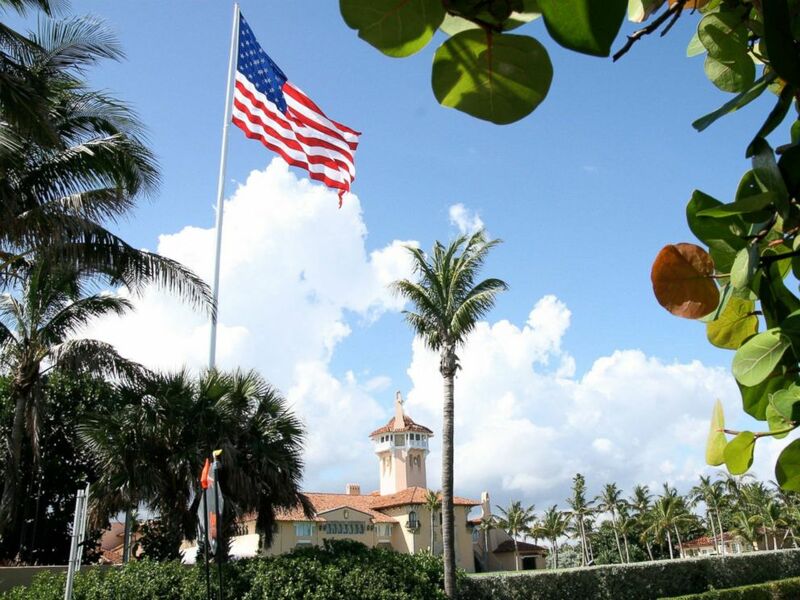 The lawsuit involving Mar-a-Lago, filed in 2007, revolved around a complaint by the town of Palm Beach over an oversize flagpole at the club. Publicly available court documents show that as a condition of a settlement, “Mr. Trump will contribute $100,000 to charities agreed to between the parties” in return for the town’s waiving fines against Mar-a-Lago. 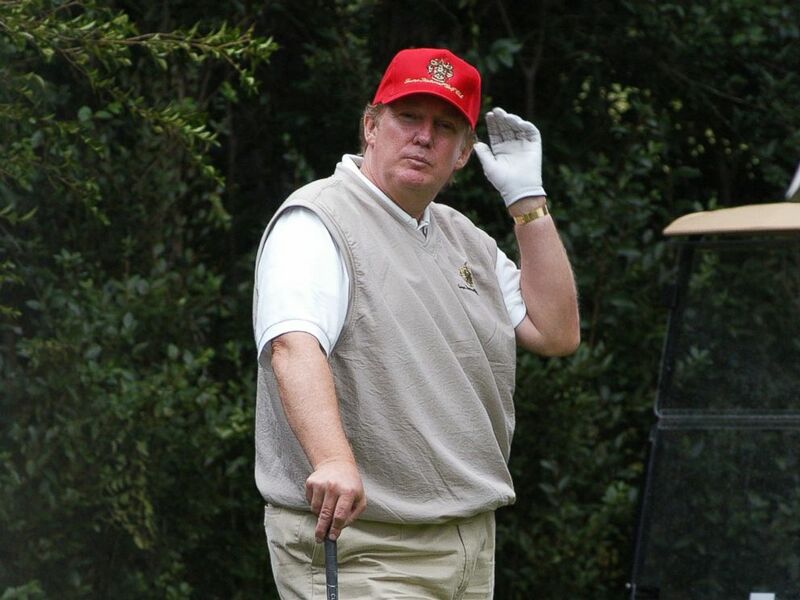 Real-estate mogul Donald Trump plays a round during an opening celebration for his latest venture, the Trump National Golf Club in Briarcliff Manor, New York. In a September 2007 letter to the town, as reported by the Post, Trump wrote, “I have sent a check for $100,000 to Fisher House. Although the court documents show that under the settlement, Trump or Mar-a-Lago would make the payment, the payment apparently instead came from the Trump Foundation. Tax forms for the Trump Foundation show that in 2007 the charity gave $100,000 to Fisher House, an organization that helps pay for housing for veterans’ relatives when their loved ones are receiving medical treatment. It was one of only three $100,000 donations it made that year; the other two were to a New York hospital and a police athletic league. Fisher House confirmed to ABC News that it received a $100,000 check from the foundation on Sept. 11, 2007. It does not have a copy of the check available. The IRS has strict rules on the operation of tax-exempt private foundations, including against what it calls self-dealing. To qualify for tax-exempt status, a foundation is required to demonstrate, among other things, that “no part of its net earnings inure to the benefit of any private shareholder or individual,” according to an online IRS publication. Mayer noted that if the lawsuit settlement was paid for by Trump’s foundation, he wouldn’t be the first person to violate tax law in this way. “It’s not unheard of for people to use their private foundations for their own benefit. Usually if the IRS learns about it, the insider has to pay a penalty tax and repay foundation with interest,” Mayer said. “Here the foundation allegedly paid for a substantial benefit to Trump’s business — the dropping of lawsuits. That is clearly crossing the line. It’s not even close,” he said. The Trump Foundation takes in substantial donations from people and organizations, including until eight years ago Trump himself. In 2007, tax forms show that the charity had revenue of close to $4.1 million, from contributions, gifts and grants. Of that total, Trump donated $35,000. Similarly, in 2008, Trump gave $30,000 to the foundation. In previous years, his contributions were bigger, ranging from $184,000 to $713,000. Trump made no donations to his foundation from 2009 to 2014, which is the last year for which records are available. A few years after the Mar-a-Lago settlement, the foundation reportedly paid $158,000 to settle a lawsuit against one of Trump’s golf courses in New York, which led to a charitable donation by the foundation. The foundation is under investigation by the New York Attorney General’s Office over a payment made to a political group associated with Florida Attorney General Pam Bondi, a Trump supporter who spoke at the Republican National Convention this summer. A person familiar with the probe tells ABC News that the New York Attorney General’s Office is also investigating all the donations mentioned in the Post report. ABC News’ Liz Kreutz contributed to this report.